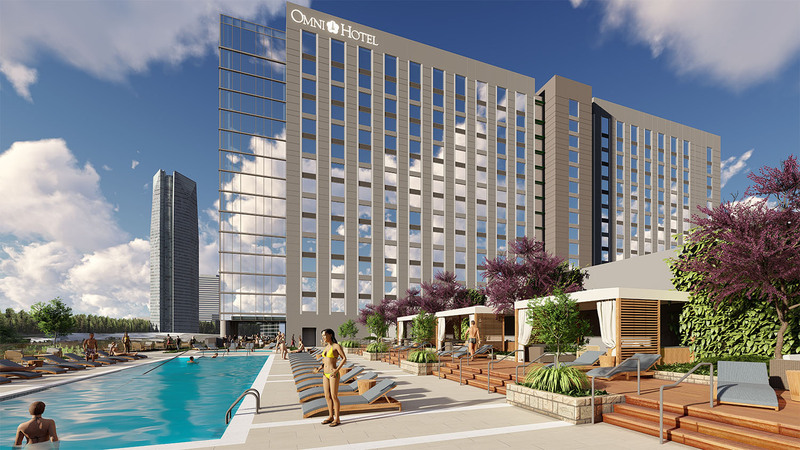 Omni has submitted design plans for their proposed 605-room convention hotel which will be reviewed by the Downtown Design Review Committee on May 17th. 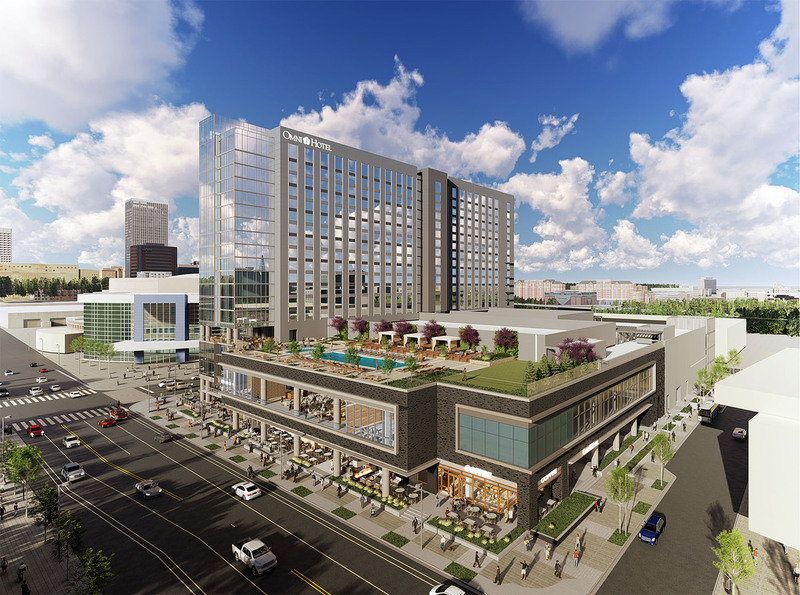 The group had previously won the right to develop the city-owned site through an RFP process that was overseen by the Alliance for Economic Development as part of the MAPS 3 convention center project. 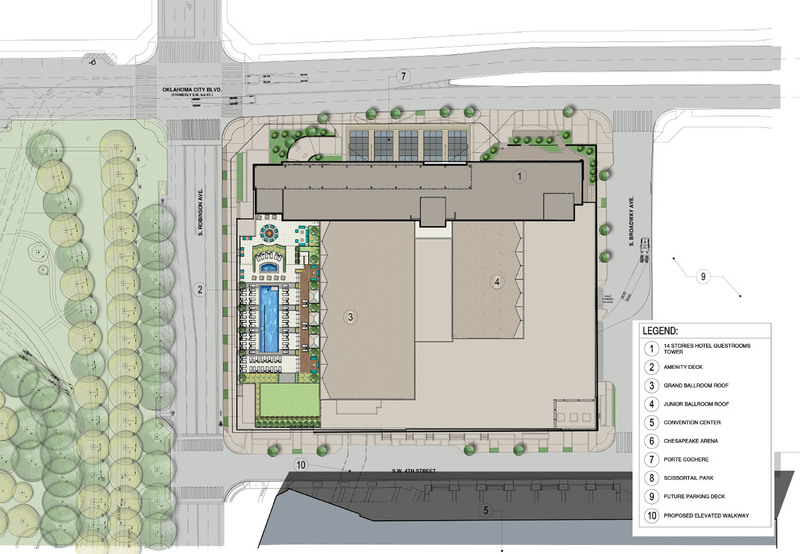 The plans for the 18-story hotel show 2 large restaurants on the ground floor as well as a bar and coffee shop, all located on the ground floor. 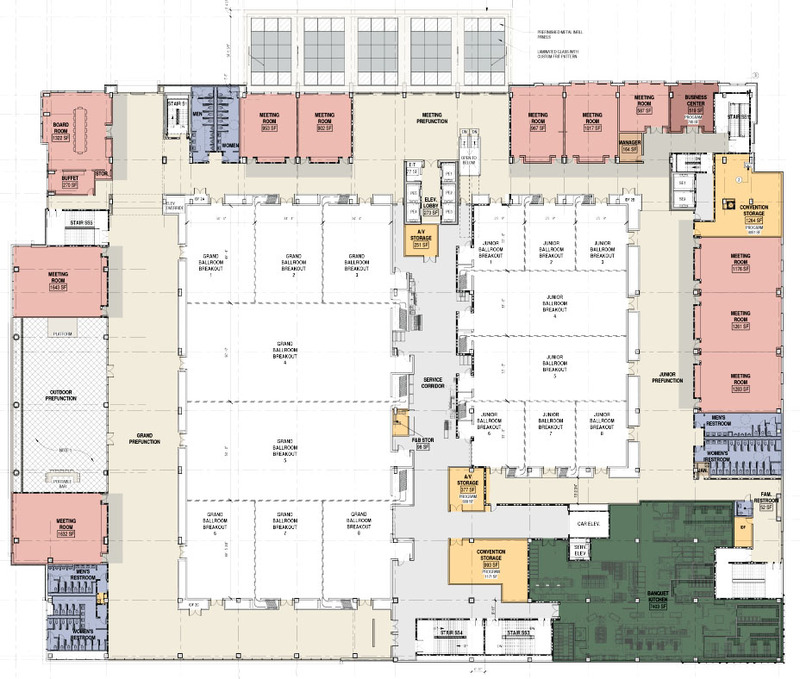 The 2nd level will contain convention space including grand and junior ballrooms, meeting rooms, concierge and a business center. 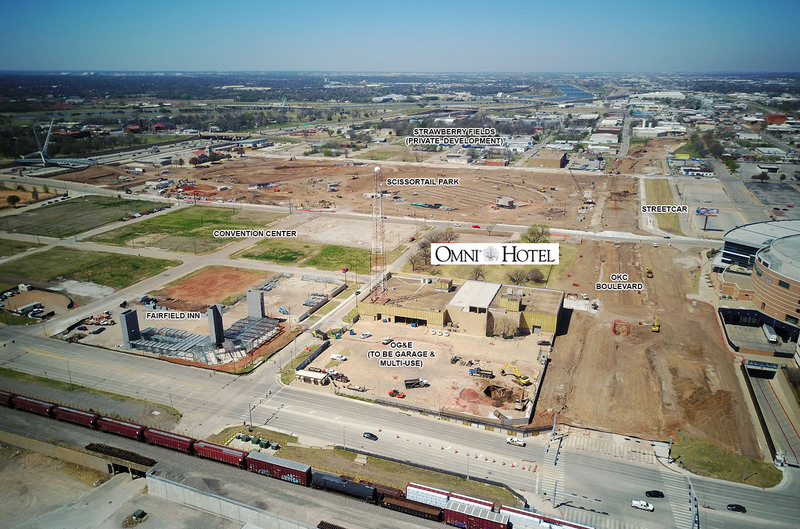 The 3rd will feature a fitness center, spa area, outdoor amenity bar and large deck with a pool overlooking Scissortail Park which should finish later this year. 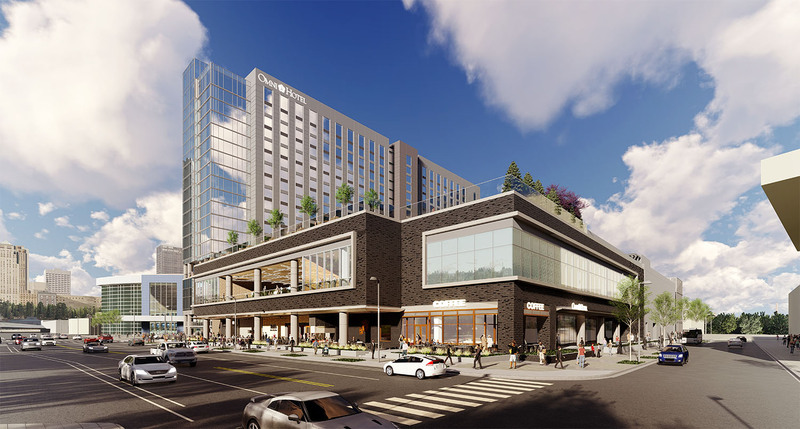 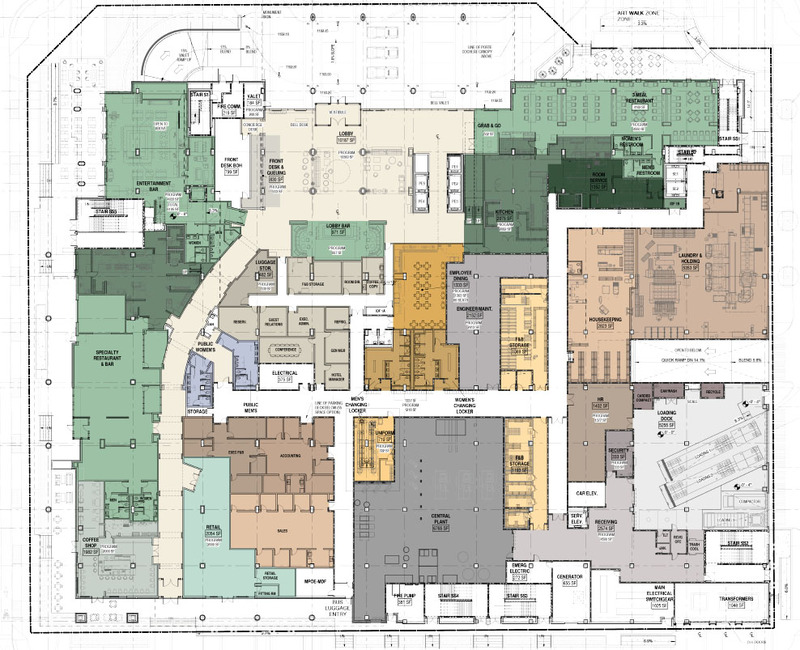 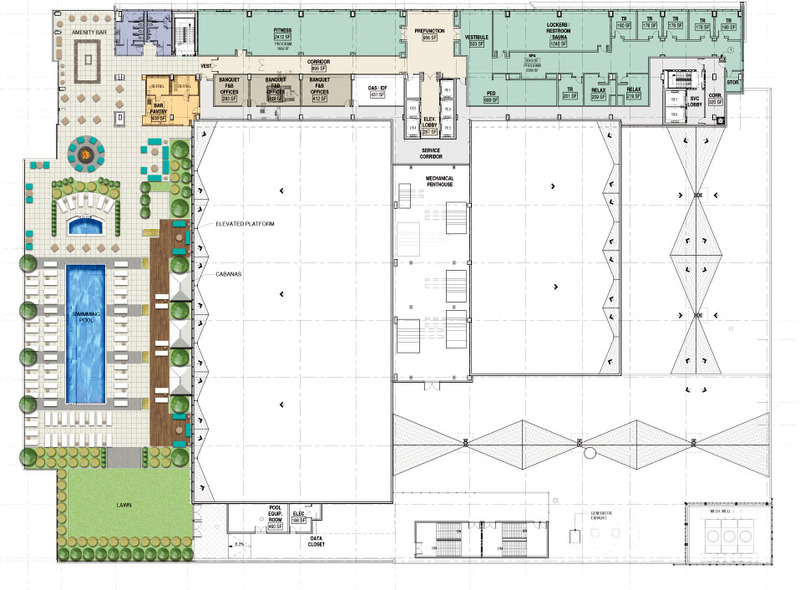 The convention center will also connect directly to the hotel via a 2nd level skywalk and a similar temperature-controlled elevated walkway is planned between the convention center and proposed parking structure. 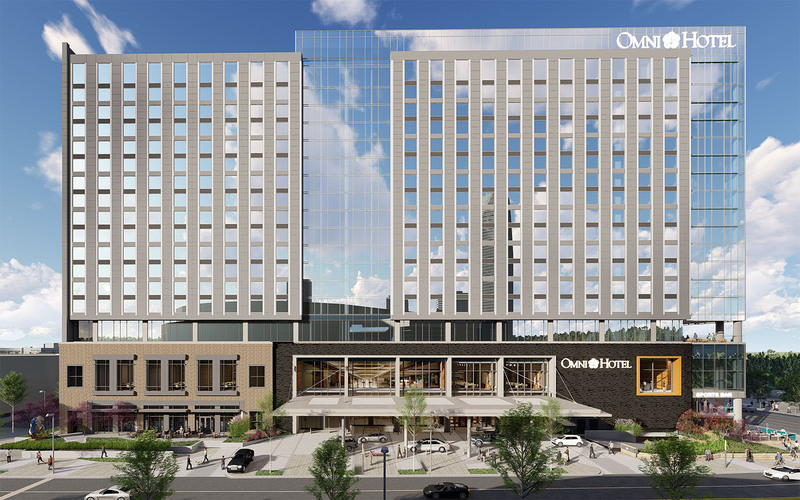 Among the 605 rooms, several are designated as 'NBA Compatible' with special allowances for ceiling, door and shower head height as well as larger beds. 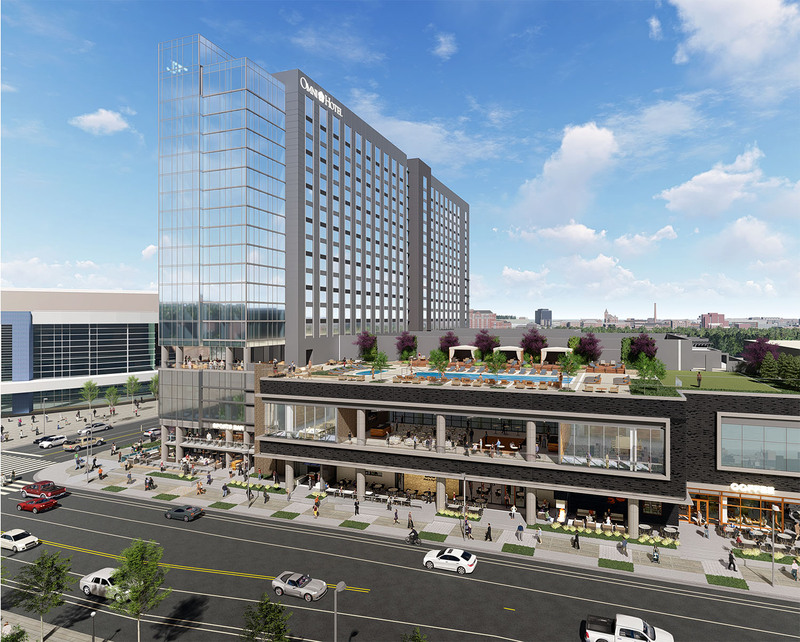 The hotel will be located directly south of Chesapeake Arena. 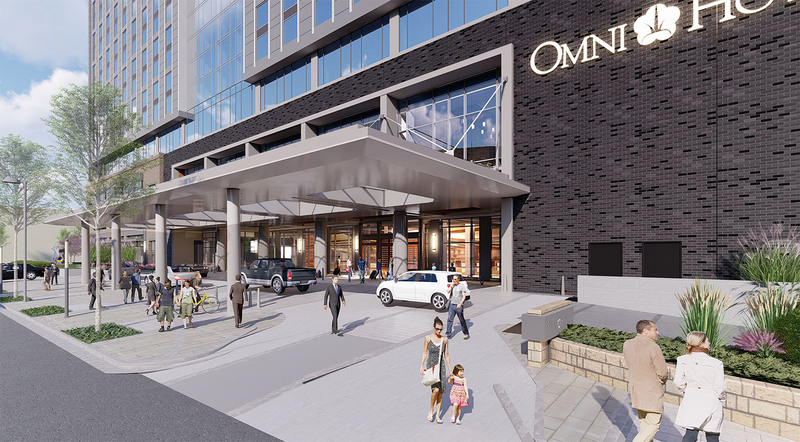 Omni will receive $85.4 million in financial incentives from the city and will also have use of a new parking garage to be built on a soon to be relocated OG&E data center site, which is immediately to the east. 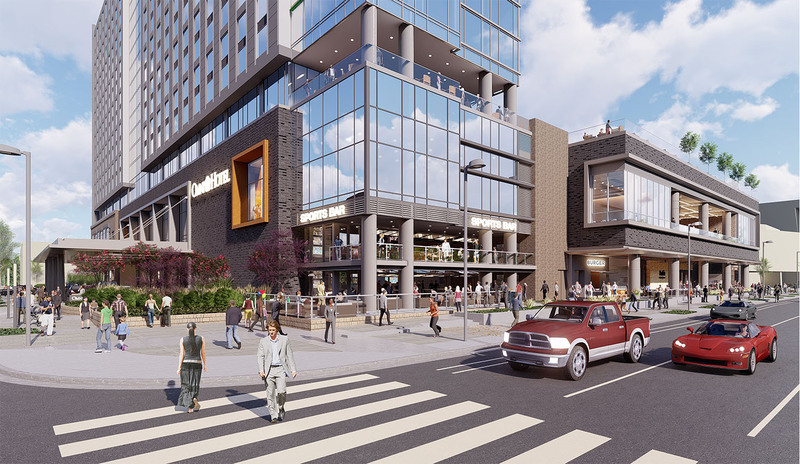 It is estimated that the city will also incur approximately $50 million in interest costs as the arrangement with Omni requires all the incentives to be paid before they start construction. 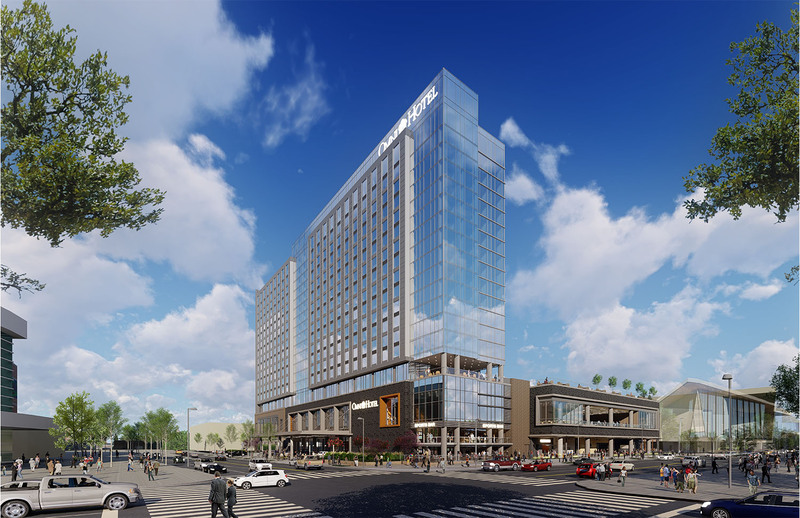 The convention center is currently out for bid and it's expected construction will start later this year.